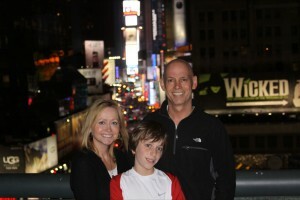 Following a scrumptious dinner at the Hotel Novotel we took a 3 block walk to Radio City Music Hall. All of the families were super excited to see the show. The show started with a 3D movie experience and moved into a kick line. 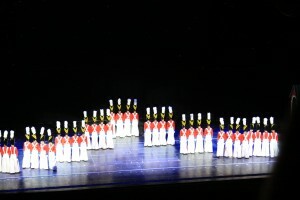 The Rockettes were amazing as santas, toy soldiers, shoppers, humbug zappers, and glittery Christmas decorations. Today has been a great day! The weather has been fantastic and all the families are enjoying each other and New York City. This morning's blog update proved to be an accurate description of everything we have done. In other words, everything has gone according to plan! I love it when that happens. Anyone can join just click "join group". The day started early for many of the families attending the 2011 New York City Legacy Retreat. Some of them even started their travels yesterday to get to Manhattan for their Inheritance of Hope Retreat. 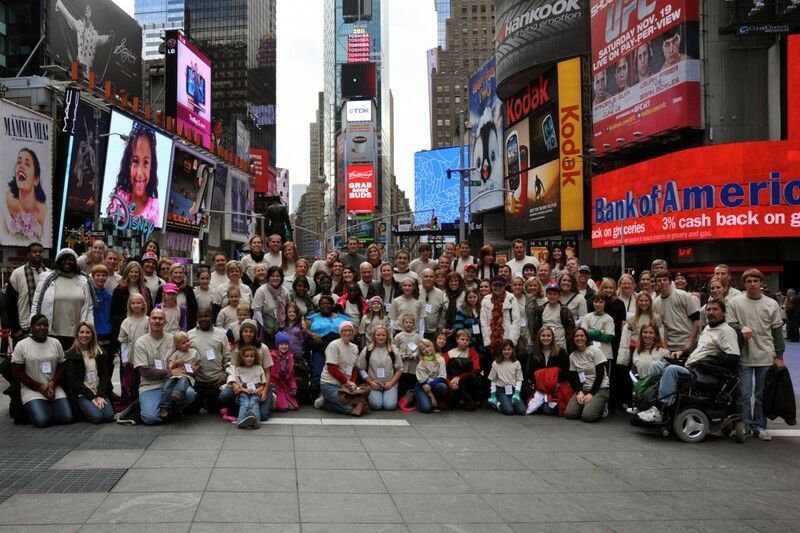 Ten days from today 16 families from 10 different states will arrive in New York City for a trip of a lifetime. They will arrive from California, Florida, Missouri, Minnesota, Georgia, North Carolina, Washington, Michigan, Pennsylvania, and South Dakota. This past weekend was an incredible memory for me! I completed my first marathon with an amazing group of people. 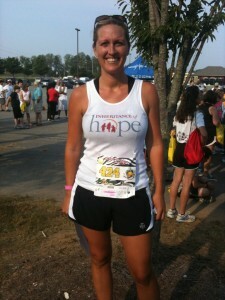 We all ran to support Inheritance of Hope. 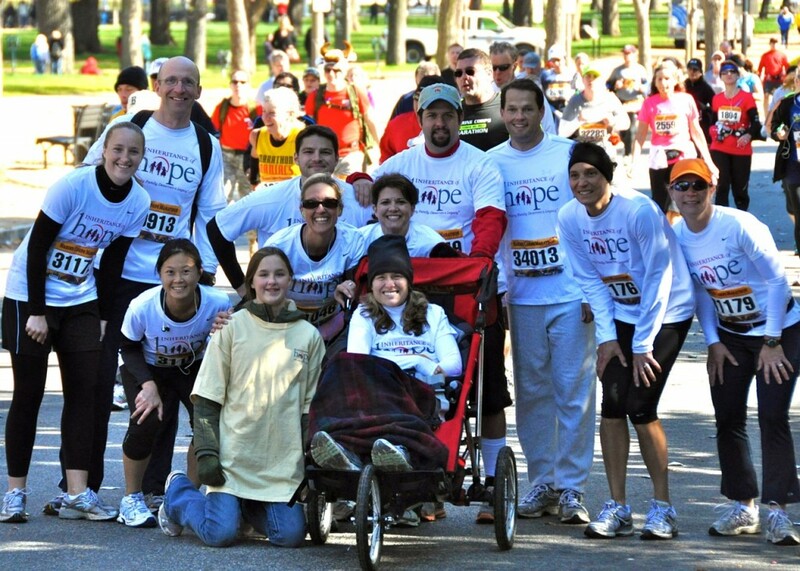 We ran so that families with young children who have a parent facing a life-threatening illness can experience joy in memories, comfort in community and hope in their circumstances. Recently I saw this cartoon and it really made me laugh. What a silly expression of a phrase that we use often for encouragement and strength for those we care about. I remember (way back) in high school when I first heard this phrase and some tough guys were planning a fight. One of the guys said to his buddy, "I got your back." Basically he was saying, "if you need me I'm right behind you"..."when things are going badly for you I will step in and be on your team"..."you're not alone"..."I'm with you in this". I have been training for a marathon for the past several months. It has been long, hard work for me. I have never enjoyed running and never thought I would be participating in any sort of race, let alone a 26.2 mile one! One of the places that I have been doing most of my longer training runs is a beautiful park. It has 2 huge playgrounds, a skateboard ramp, a fenced in dog play area, covered picnic tables and a 1 mile paved track. Usually when I am there I am circling that 1 mile loop of pavement anywhere from 13-20 times. (I know it's crazy!!!) Anyway, I often see the same familiar faces during my many loops. Spotting an exceptional cup, they asked "May we see that? 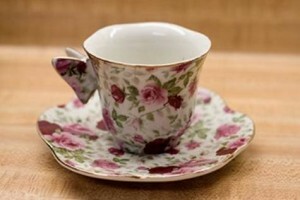 We've never seen a cup quite so beautiful." I cannot believe I will be running 26.2 miles in just 1 month. It is something I never thought I would do. I have been training with an amazing team for the past several months, most of whom I have never met. There are, however, a few people who I know really well that I look forward to seeing on race day!